Do you know the difference between a home warranty and homeowner’s insurance? You may understand that they both protect your home and your finances, but don’t quite know how they are different from each other. We’ll explain how they’re different, how their coverage works, as well as what’s covered, and the benefits and limitations of both home insurance and home warranties. Home insurance and home warranties are similar, but they’re not the same. Both protect you from the unexpected and control major costs when home repairs are needed, but their coverages and claims situations are very different. Most people are familiar with homeowner’s insurance: it’s required by your mortgage company when you buy your home, and practically every home is covered by some level of insurance. Warranties are less prevalent, as they are an optional coverage that is recommended, but not required. Home insurance is for emergencies, while a home warranty is for everyday wear. Home insurance is designed to protect your home in case of accidents or emergencies: natural disasters, fire, theft, vandalism, and other major events that can cause damage. A home warranty protects your appliances and systems with repair coverage: when a maintained item fails due to normal wear and tear, it will be repaired or replaced. A home warranty is not a substitute for insurance, or vice versa. If you want your home to be protected from disasters as well as normal wear and tear, you’ll need to purchase coverage for both warranty and insurance. Home insurance is designed to protect against catastrophes: major events including fire and natural disasters that can devastate your home and leave serious damage. It is required when you sign up for a mortgage, and highly recommended even if you’re paying cash for your home, as it offers potentially hundreds of thousands of dollars in protection. Your homeowner’s insurance provides coverage for your home structure, personal belongings, and even liability protection if someone is hurt in or around your home. Insurance can also provide temporary housing if your home is inhabitable during rebuilding or repair. The average annual premium for home insurance is about $900 according to the Insurance Information Institute. Deductible amounts can be $500-$1,000 or higher. If you have a problem with your home, you’ll need to make a claim to your insurance company, who will send out an adjuster after to assess the damage. The insurance company will offer you a sum of money to repair the damage, and if you feel it is adequate, you can settle the claim. If you don’t think the amount is enough to fix your home, you can try to negotiate. Home warranty service contracts protect your home from normal wear and tear. Your home warranty will repair or replace covered maintained items that fail due to regular use. Though home warranties are not required by mortgage companies, they are recommended for homeowners seeking extra protection against unexpected repair and replacement costs. Your home warranty will cover major appliances and systems that are not working properly, offering service from a professional contractor for the cost of a service call fee. Most home warranties cost between $350 to $500 depending on the coverage level you choose. Service call fees, similar to an insurance deductible, are $60. If you submit a home warranty claim, a qualified contractor will be sent to your home to assess your needs and complete a repair. If your item is beyond repair, your warranty will provide a replacement, or offer a lump sum amount for you to purchase a replacement of your own. 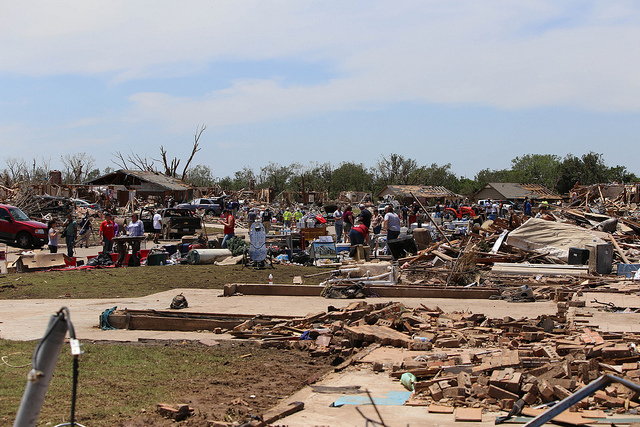 Home insurance can help you put your home back together when disaster strikes, but insurance can’t do everything. What’s missing? Insurance will not repair or replace appliances or systems due to normal wear and tear. It is meant to be used for emergencies and serious incidents like natural disasters only. Items that break down over time will not be covered by your homeowner’s insurance policy. Just like home insurance, your home warranty won’t cover everything. Your warranty coverage does not repair or replace items that have been damaged due to disaster or misuse. Only items that are covered and maintained, but fail due to normal wear and tear are will be repaired or replaced. Together, home warranties and home insurance offer homeowners practically whole-house protection from natural disasters, emergencies, and unexpected repairs. Your home insurance will protect you from major events, while your home warranty handles problems that arise from normal wear and tear. With both home insurance and a home warranty, homeowners can enjoy peace of mind knowing that they’re covered from most major home expenses that can pop up. Ready to gain peace of mind for your home with a home warranty? Contact Choice Home Warranty for a free quote.